When it comes to having your car or industrial vehicle serviced, you want to have the best possible parts fitted, in order to ensure long-lasting enjoyment and reliability. With over 30 years of experience in the business, ARA Engine Reconditioning prides themselves on servicing a wide range of engine types, with state-of-the-art machinery designed to repair and modify several components during the engine reconditioning Penrith process. All of this is made possible by a dedicated technical team, who are all passionate about engines and approach each new project with enthusiasm and a desire to deliver results. Bringing your vehicle in for a major overhaul can be a daunting experience. Will my old engine be repairable in its current condition? Will they use the right parts? At ARA Engine Reconditioning, we understand that major procedures are not an easy task. Right from the start, we take you through the entire process; from the initial inspection stage all the way to the final adjustments. Our priority is to diagnose the problems associated with your engine and have it up and running again, as soon as possible. Whether you’re a local resident looking to overhaul your day-to-day car, or a business owner who needs their industrial vehicles serviced; at ARA Engine Reconditioning, every customer benefits from equal quality assurance no matter the task. When having any vehicle serviced, it is often understandable save on costs and use second-hand parts. After all, if it does the job, then why not? While this may be true in some cases, you’re never truly sure where the parts comes from and you don’t know how long they’re going to last either. The difference between a component that has already served 50,000 or 100,00kms is tremendous, and it can pose serious risks to the general wellbeing of your engine. When you have your engine reconditioning Penrith done, we seek out only reputable sources for each part we order. By using official manufacturer standard parts, it ensures that your engine can function correctly without risking seriously damaging major components. Even a few worn down bearings or piston rings is enough to pose serious consequences for your engine. From the heavy-duty industrial diesel engine, to the more common V6-cylinder engine; no job is too big or too small for us. Our dedicated technical staff have a combined 30 years of experience in the business, which has provided them with the essential knowledge required to operate on many different engine types. 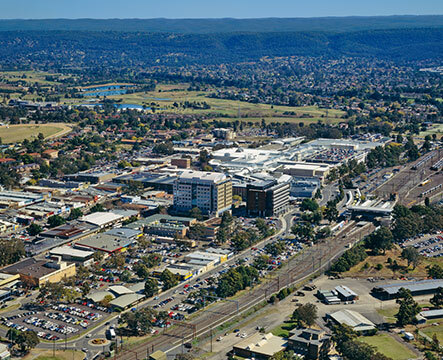 Penrith is a thriving metropolitan region that’s home to wide-spread suburban presence and a range of local businesses. Featuring the Penrith Railyway Station, this vital transportation method relies on regular maintenance and engine reconditioning Penrith in order to operate at its peak performance. Through ARA Engine Reconditioning, we provide a comprehensive service for many locomotive engine types, buses and other modes of public transport. For the best quality service for all your engine needs, ARA Engine Reconditioning’s equipped workshop and dedicated service team offers a comprehensive service every time. For your next engine reconditioning Penrith, rely on people you can trust and choose ARA Engine Reconditioning.